The National Department of Health (NDoH) and Provincial Health Authorities (PHAs) have been urged to create positions for physiotherapists in rural health facilities to serve the needs of disabled people in rural areas. The 4th National Physiotherapy Symposium held in Alotau, Milne Bay Province recently had expressed concern that 85 percent of the disabled people lived in the rural areas but there were no physiotherapy services available to them. The symposium which was held from 28th – 31st August 2018 heard that only those who had access to roads and financial resources managed to visit major hospitals to get treatment while the rest simply missed out and this was a major concern for them. The participants of the symposium which carried the theme of “Physiotherapy services to the rural communities of PNG” strongly recommended that the NDoH and PHAs take urgent steps to address this situation. The bi-annual symposium which was hailed as a success was attended by physiotherapists from around the country as well as other partners and non-government organisations such as the National Orthotics and Prosthetics Services and Callan Services. 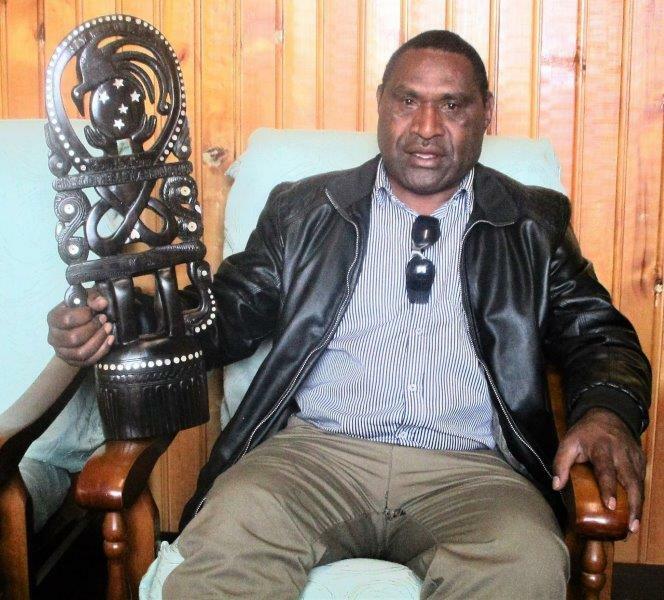 The National Executive of the PNG Physiotherapy Association had decided that Mt Hagen would be the next venue for the symposium and Physiotherapist, David Mambu from the Western Highlands Provincial Health Authority had accepted the decision to host it in 2020. Physiotherapist, David Mambu with a carving from the Milne Bay Province which will be passed on from province to province to indicate the next venue of the symposium.